This book is an exposition of the Sermon on the Mount that assists the reader in understanding and living out the demands of the Christian life as Jesus presents them in Matthew 5-7. 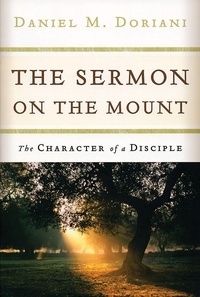 “Among Jesus’ teachings, the Sermon on the Mount is perhaps the most beloved, the best known, the least understood, and the hardest to obey,” says Daniel Doriani. His skillful exposition and gripping application of the sermon will help readers realize in thought and in life the character of true disciples.